Yoga bed is increasingly gaining popularity as a type of mattress that offers ultimate support and comfort. The manufacturers of this mattress have combined the best of memory foam characteristics to help you sleep better. It achieves this by evenly dispersing your weight and reducing pressure points that could cause you sleepless nights. 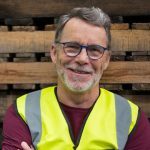 There are many reasons to love Yoga bed Luxury Memory Foam Mattress as you will see in the following review. 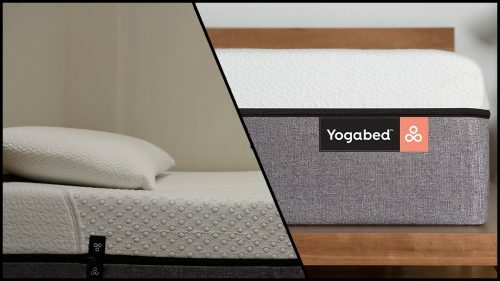 Yogabed Luxury Memory Foam Mattress has been designed with the best technology for durability, pressure relief, comfort, and temperature control. It is a luxury foam mattress with an advanced layered system that disperses weight evenly. This makes the mattress appropriate for the side, back, and stomach sleepers. It provides you with a clean sleeping surface because the cover is removable and washable, so you can easily get rid of dirt and allergens. It comes with free pillows that are made of yoga instant response foam which easily adjusts to movement and remains cool due to the small ventilation holes drilled into the foam. The yoga bed mattress is available in various sizes such as Twin, Twin XL (Extra Long), Full (Double), Queen, King and California King. Although it does not come with a box spring, it works well with any adjustable foundations you may have. It is made of a highly reactive foam that springs back quickly and offers pressure relief by adapting to your body. It aims at eliminating that sinking feeling that one gets when sleeping on other types of foam. It disperses the impact of deep compression that may be exerted on the top layer. It also helps to keep the mattress cool since it has more airflow and greater thermal conductivity than other types of foam. The layer is made of high-density foam and is thick enough to provide the necessary support. The foam in this layer is breathable, so it further facilitates airflow. 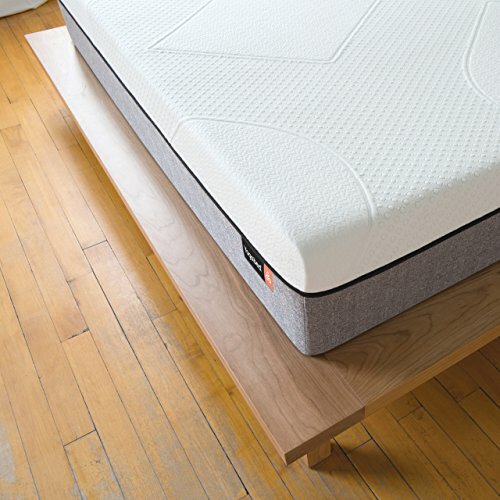 The layer is made of super high-density foam, and it offers a solid base for the mattress. You don’t have to place a plywood between the mattress and your foundation because this layer serves the purpose. Due to the advanced layer system, the yoga bed has proper weight distribution which reduces pressure points, keeping you from turning and tossing all night. It has a zippered removable mattress cover that is machine washable, and this helps to keep the bed fresh and clean. It has an offer of 101 nights free trial with no risks, and one gets a full refund if not satisfied with the product. It also has a 10-year warranty covered by the manufacturer. The mattress has a yoga gel layer that increases air flow and keeps the bed cool throughout the night. It has a soft, comfortable feel that adds quality to your sleeping experience. The comfort that this yoga bed mattress provides is well worth the price. It is environment-friendly because it uses CertiPur-US certified foam. The yoga bed gives a strong chemical smell when freshly opened, and it takes a long time (2-3 days) for the smell to be completely gone. The mattress has been designed to be very firm, and this does not work well for people who weigh less. It may cause them back pains unless they use a mattress topper. The motion transfer control of this yoga bed is not perfect, and this may cause disruption for a sensitive sleeper. The foam softens easily after the break-in period and this may disadvantage people who prefer a firm. Regardless of the few shortcomings, yoga bed is the best choice for you as it lets you sleep without discomfort. The 10-inch thickness is ideal for giving optimal support to your body. 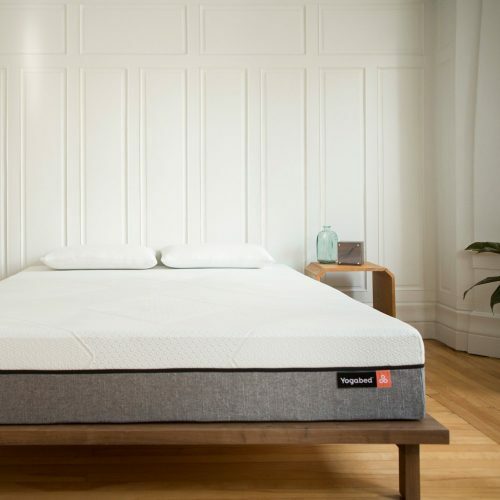 The comfort, feel, and firmness of this mattress aims to please all types of sleepers, and it comes at an affordable price, so you have all the reasons to try out this amazing product.